What is it about French women and their seemingly effortless style? People all over the globe adore their chic sense of fashion. And while popular magazines may show off the hottest couture and over the top, glamorous designs on the runways of Paris Fashion Week, it's really the everyday French woman whose style is most admired. It turns out the French style is based on a few key principles, most of which have to do with timelessness and simplicity. The trick, though, is to keep those two things from being boring. So how do they do it? Below are time tested tips and advice from Parisian born women who nail French style no matter where they go. There's nothing more chic and versatile than a white, button down blouse. A good white top can be worn with jeans and loafers, or a special occasion skirt. You can also wear it to work or out on the town. The key for that special French element is to choose a white blouse that's well made, fits like a glove, and has a small extra element of design. Here, Paris native Laura Alboy shows us how it done. Though moving from Paris to LA, she stays true to her hometown's chic style and wears a classic white blouse with dramatic details from YSL Saint Laurent. She pairs it with an understated but "I mean business" skirt in this smoldering photo. If you match your European look with a leather pencil skirt try to stick to matte or brushed material instead of patent or a material with a bright sheen if you want a more subdued look. And if you want to kick it up a notch, choose a bold color like red. The come hither look is just a bonus. Maybe the key to great style isn't in what's hot and now on the runway, but what will pass the test of time. "I believe it is key to invest in timeless pieces", explains Jenny Rieu, a Parisian actress and model who now resides in Los Angeles, CA. "My first timeless investment was a Chanel purse." It's no surprise her first big investment was with a French brand. Coco Chanel and the company that carries on her legacy today are the epitome of chic fashion. Perhaps it's the legacy that French women like Rieu look for when shopping themselves. Before making a purchase, Rieu asks herself "will I wear it in ten or twenty years from now? If the answer is yes then I buy it. I love quality over quantity and I am often confused with the culture of fast fashion not only in America but worldwide." 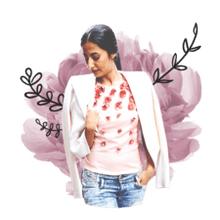 Investment in yourself through careful attention to your wardrobe means picking key pieces that will last long after the current trend has faded, and can stand strong for years both in quality and style. With a history that dates back to the middle ages, French brand Saint James is about as classic as it gets. They are known best for their Breton Stripe sweaters and tops. This stripe style was historically worn as the official uniform of French sailors. Traditionally long sleeve and made of cotton which horizontal stripes in the colors of white and blue, several various shades and silhouettes have taken off over the years. Most styles remain true to classic nautical colors with mixtures of red, white or cream, blues, and black but the MINQUIERS MODERNE Unisex style boasts 16 color ways! You can pair this classic top with cigarette pants or classic dark denim and simple flat shoes for a casual look. Or pop on a blazer and trousers and a smart pump. No matter how you style it, you'll look effortless and comfortable because you'll feel relaxed and cozy! Youthful, 24 year old Parisian native Wencilia Querbel also suggests investing in classic, wearable pieces. One of her best French style bets are black heels. In fact, she says she can't live without "a comfortable pair of black heels" and adds, "I would suggest to have a back up if you find the perfect ones for you." Having those go-to elements in your wardrobe not only makes dressing easy. It also helps you create your own timeless, signature look. If you want to invest in a pair of black dress shoes or heels, try a classic design with a smart style addition in a walk-all-over-town heel height like this one from French brand Roger Vivier. The extra touch of patent sheen is optional, and can add a bit of pizzaz to a basic outfit.